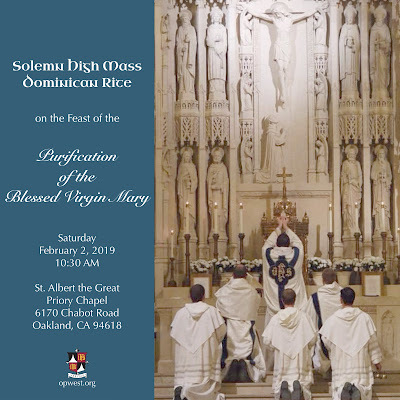 This is a reminder that that a Dominican Rite Mass for the First Saturday observance of the month of February will be celebrated on February 2 at St Albert the Great Priory in Oakland, California. The Mass will begin at 10:30 a.m. This Mass will be a Solemn High Mass for the Feast of the Purification of the Blessed Virgin Mary (Candlemas). It will be preceded by the traditional Blessing of Candles and Procession with lighted candles through the cloister garden of the priory. The brothers will make the traditional Offering of Candles at the Offertory; lay people present may take the blessed candles home for devotional use. The celebrant and preacher will be Fr Augustine Thompson, O.P., professor of history at the Dominican School of Philosophy and Theology in Berkeley, California, assisted by Fr. Christopher Wetzel, O.P. as deacon, and Bro. Joseph Selinger, O.P., as subdeacon. The music and servers will be provided by the student friars of the Western Dominican Province. The St. Albert the Great Priory Chapel is located at 6170 Chabot Road, in Oakland, with ample parking available on the street or the basketball-court parking lot. 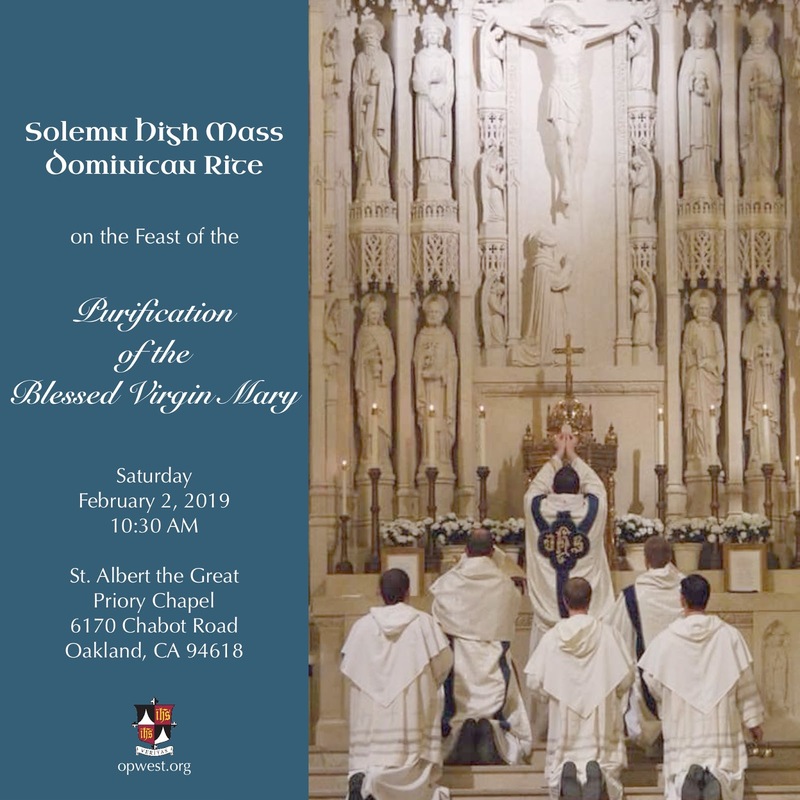 The next Dominican Rite Mass will occur on March 2.